UCL Arts and Sciences undergraduates and their tutor described how cross-discipline research honed research and meta skills, with a Wikibooks entry as the output. 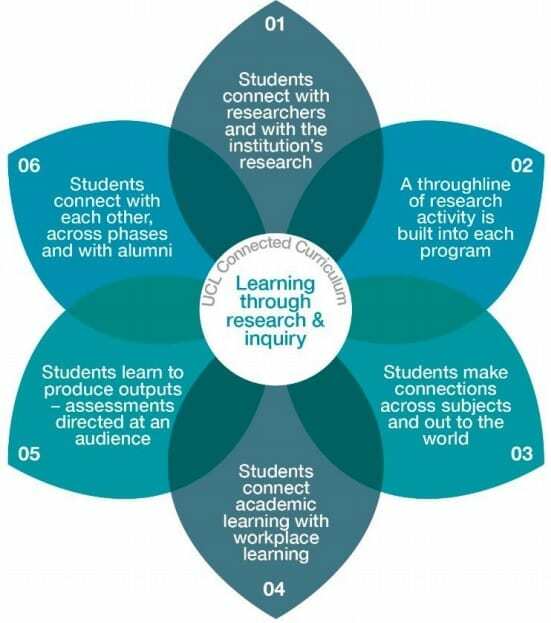 OER were shown to foster learning, digital literacy, creativity, student engagement, and collaboration across disciplines. Also read a full account of Opening UCL by Susan Koseoglu, Goldsmiths College. 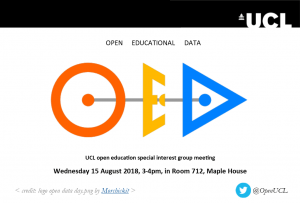 Join us for this month’s UCL open education special interest group meeting. Dr. Javiera Atenas from the Open Knowledge Foundation will talk about a pedagogical element to foster open education through the use of Open Data, which MIT is currently working on. Javiera will showcase a data-research impact tool developed by the MIT which can be used as good practice to showcase open data as OER. Open education, like open access and open data, centres on a commitment to provide access to high quality education and educational resources to a global audience. As the Open Education Consortium declares, “sharing is probably the most basic characteristic of education: education is sharing knowledge, insights and information with others, upon which new knowledge, skills, ideas and understanding can be built”. Open education typically involves the creation and sharing of openly-licensed learning materials – open educational resources (OER) – that can be re-used and enhanced by the community. OER can include lesson and course plans, exercises, diagrams, animations, video or audio lecture recordings, presentations, handouts, mock papers/tests, reading lists, and so on. How is research data relevant to open education? 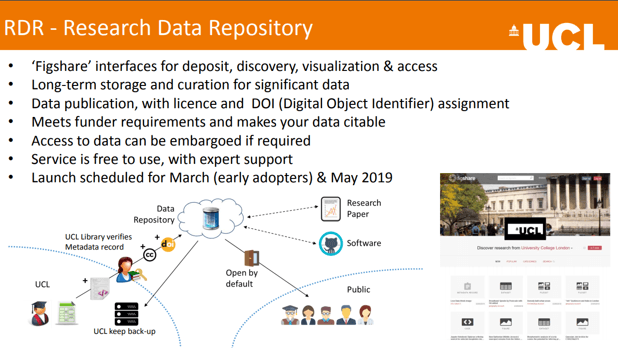 UCL’s open data repository, which is currently in development, will allow users to access and use data for educational purposes. 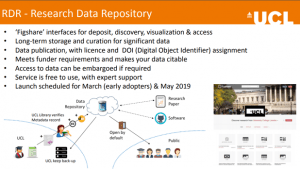 Datasets which include raw and summary data can be curated and used as research-based educational content, and can include additional descriptive and support documents such as workbooks and educational guidelines. Research methods and data analysis can be taught using embedded discipline-specific or inter-disciplinary data; this gives students real-world and practical resources to learn with, and increases the use and impact of research data. Why should I share research data as educational content? Publishing research data as educational resources will have wider global reach and impact, and attributing the UCL brand to your output should provide quality assurance for other users. Your published OED can be cited and referenced by others and can be included in your publications (tying into the Academic Promotions Framework, which rewards open behaviours, for example), adding value to your teaching and research, and raising your professional reputation. How will this benefit my students and me? While the initial creation of educational materials from published data can require some consideration, sharing these will allow the creators to promote good practice, collaborate with other educators and learners, and respond to UCL promotional criteria that require publication of educational materials. There is some evidence that re-using high-quality OER is a time- and cost-saving activity, as you can edit existing educational materials to make content specific to your programme or class. OER-use can also provide the chance to learn in different ways, i.e. a flipped classroom, and insight into the research-based teaching approaches of fellow practitioners in your field might lead to collaboration, inspire your own teaching and research, or contribute to original output. If you have any content (such as data-specific OER) you would like to upload to the repository or if you require further information, please contact the OER team at oer@ucl.ac.uk who will be happy to support you. 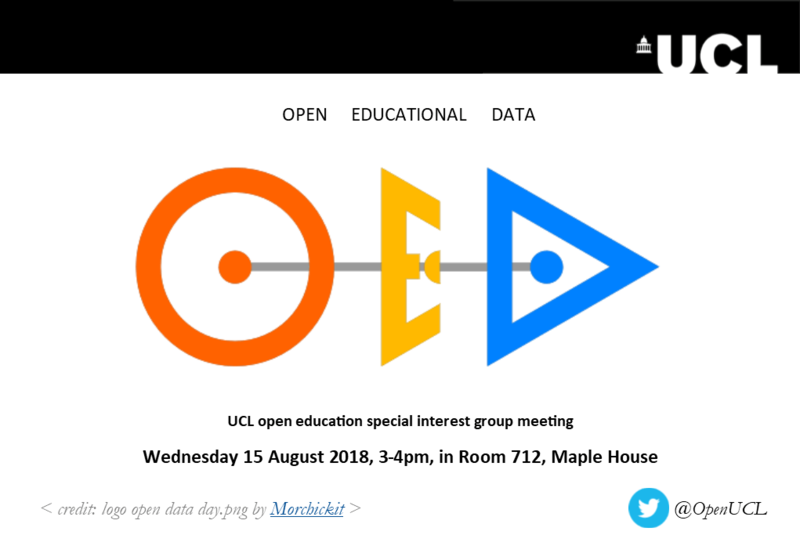 To find out more about open education or to contribute to this practice at UCL, ask to join the mailing list by emailing oer@ucl.ac.uk, or attend the next meeting of the open education special interest group (SIG). This will be held on Wednesday 15 August 2018 3-4pm in room 712, Maple House. We will also be present at RDM/RITS drop-in sessions if you’d like to talk to us or learn more about creating OER from your research data. Information about upcoming SIG meetings and RDM/RITS drop-in sessions can be found here. UDIT: using (open) data in teaching (collaboration with Toronto, Amsterdam, and Radboud (Netherlands)) is a pool of resources for teachers to help them use open data in their teaching. These are being put into OER Commons and accompanied with the UDIT module. For those interested in contributing data, the project is seeking materials to incorporate into modules and OER Commons. You can also learn more by reading the Open data as open educational resources: case studies of emerging practice book, which includes case studies edited by Javiera Atenas and Leo Havemann.